Cream shortening, butter, salt, and 1/2 cup powdered sugar. Add alternately 2 1/2 cups powdered sugar and 1/2 cup crushed drained pineapple and beat until light and fluffy. Add yellow food coloring and spread on cake. 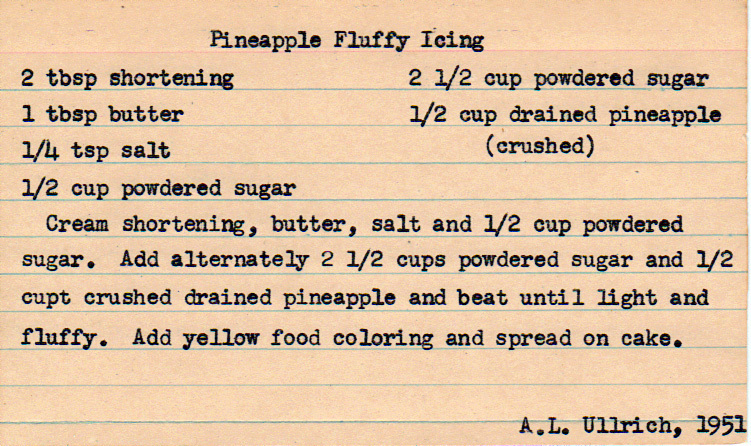 Apparently pineapple played a major role in this recipe box.